I hear it from the mouths of mothers every day in stores, parks, moms’ groups… and church. Yes, I’m not just talking about our culture. I’m talking about those who claim Christ as their Savior. A few months ago during the first week of school, I saw several Christian moms post how happy they were that their kids were going back because they drove them crazy over the summer. There were pictures taken in the drop off line with comments about how convenient it was not to have to actually walk their children into the building. It’s trendy now to wear shirts with cute print on them expressing just how much your kids get on your nerves. I’ve even heard the phrase “to get away from your kids” tacked onto recommendations for vacation spots. Really? Why can’t we just say it was a fun time in the sun and leave it at that? That annoyed, irritated tone which conveys to a child that they are an interruption and your (fill in the blank) is more important than they are. That resigned, “I’m just hanging in there” when friends and strangers ask how our day is going, which warns we’re one step away from Crazy Town. This is the under current running through all of our interactions with our children and the conversations we have about them to others: that they are a nuisance, and we don’t really like being with them. Now, I’ll be the first one to say that parenting is HARD. It would have been more than a little satisfying this week to put my kids on the school bus. There is something to be said for being real and not pretending every moment spent with your kids is fabulous. Because, let’s face it, it’s not. 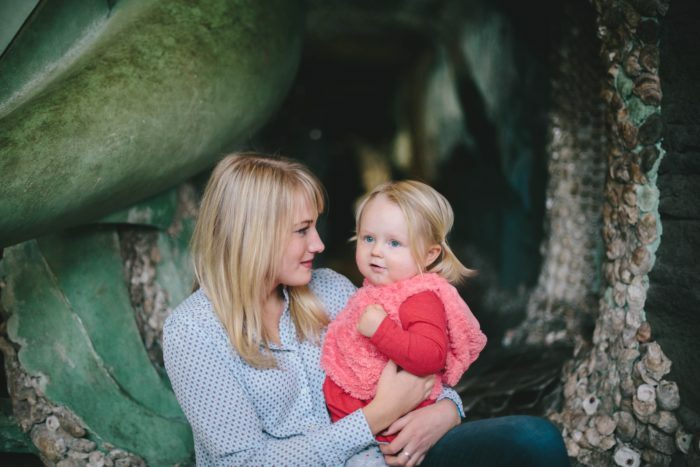 We are raising small humans who think the world revolves around them and training them one exhausting minute at a time to become productive, responsible adults who hopefully also love and serve Jesus. It’s no easy task. And I’m finding that it’s actually harder now that my kids are older and out of that “up several times a night, potty training, full on tantruming” stage. Sorry, moms of newborns and toddlers. However, I feel like we are caught in a trend of mommy martyrdom. As if the world and our children owe us something for bearing and taking care of them. We act like they get in the way of us pursuing our dreams, having me time, or romantic encounters with our husbands. We treat our kids with contempt, and then wonder why their behavior is so outrageous and we can’t stand being around them. Moms, it’s time we stop bowing down to the idol of convenience. Whenever someone offers us a formula or shortcut for raising kids, we gladly take it, believing we can bypass the hard, grueling work of parenting. I’m not saying we should indulge our kids by giving into their every request, or that play time by themselves isn’t important. They should learn how to delay gratification. But our attitude toward and about them seriously needs to change. 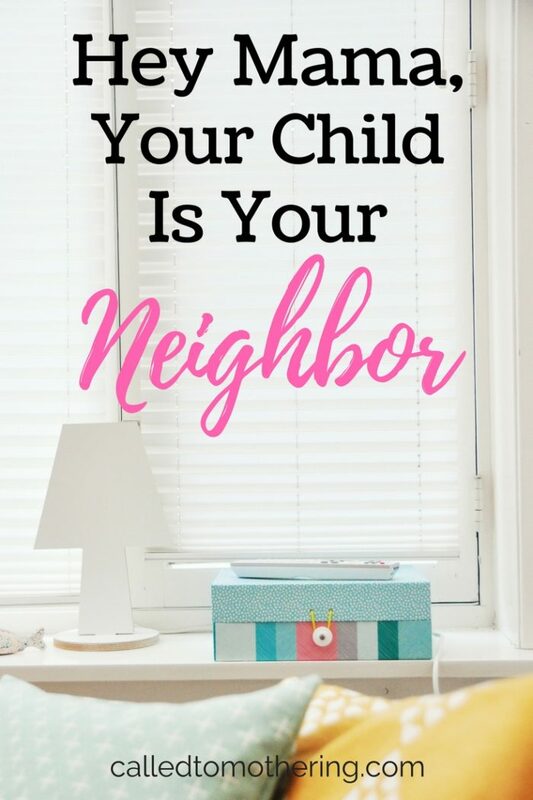 Our child is our neighbor. They live in close proximity to us. They occupy virtually the same space we’re taking up and have meals with us around the table. They share the same kitchen, couches, and sometimes the same bathroom (yikes). And the Bible says to “love your neighbor as yourself” (Matthew 22:39, emphasis mine). How many of us serve our children as we would the elderly person across the street, or the family next door? I’ll be honest, I don’t really consider it all joy to serve my kids. I’m not particularly fond of the “used up” part of servanthood that mothering often requires of me. Do I serve my hungry, thirsty, sick children as I would serve the Lord? Am I dying to self out of love for Him, or because “this is just what I have to do”? Long after they’ve lost interest in all those childhood toys and had fun on all those great family trips, they will remember our attitudes towards them. Did we treat him like a nuisance, or like the blessing God gave to us? Did we act annoyed when she made messes and mistakes, or extend grace to her? Were they burdened with the expectations we placed on them and our despondency over our supposed mundane role as mothers, or were they delighted in and celebrated for being exactly who God created them to be? When we serve our children, not begrudgingly but joyfully, we share the Gospel with them more powerfully than any words we say. Because laying down your life for another is the essence of the good news of Jesus Christ. I have to wonder whether the selfish, me-first attitudes in our children are the result of us not living out the Gospel in front of them. We have to be the change we want to see in our kids. When we confess those longings, frustrations, and regrets to Jesus and lay them down at His feet, we can parent with grace and humility (read: not perfection). He gave up His rights as Lord and King, when he came to earth and lived among needy, dirty people who demanded all He had to give. He was entitled to glory, honor, and praise, but He laid it all down for us. It’s that kind of self-sacrificing love which inspires me to serve not only my children, but others around me who are in need of grace. It is that perfect love which drives out fear- the fear of losing myself in motherhood, of giving up too much and getting too little in return. The daily drudgery of cleaning up messes, changing diapers, and breaking up fights turns into my worship. Instead of enduring and complaining about the children I’ve been entrusted to raise, I consider them a ministry opportunity. Because it is our calling to gently lead our children’s hearts toward Jesus in all of the seemingly monotonous, irritating “distractions” throughout the day. And it has very little to do with convenience, and everything to do with sacrifice. I needed this reminder, thanks for being so brutally honest. Thanks more for allowing God to use you in this way. This is really, really good. Thank you for spreading the Truth about how God wants us to mother. My brother and I will never forget feeling like we were a burden, that we got in the way of what was more important to our mother. She was wonderful in many ways, but as young children, we knew where her priorities were because of her actions and things she said. I am so sorry you had that experience with your own mom, Sarah. God really laid it on my heart these past few weeks to change the way I relate to my children. It’s amazing how much He uses them to convict me! Wow. This was so true and well put. Thank you. Thank you so much for your post! A great encouragement for me! And something I have been working on myself! Thanks again! Yes, yes, yes! A million times YES! And not because I have this all together, but because it is a constant lieing down of my pride and selfishness – and most days I need the reminder about WHY I am doing what I am doing! As unto Him, and out of an overflow of love – both His to me and mine to Him!